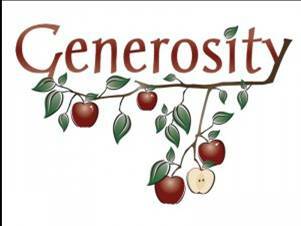 Generosity Always in Style - Senior Citizens​Activities, Inc. Generosity - always in style! W​hether it’s a birthday, a holiday, celebrating someone's personal milestone, or “just-because”, giving the gift of generosity has a positive ripple effect! donation-in-honor - that is, a donation in someone else's name -- the gift that is a profound and charitable alternative to tangible presents. Senior Citizens Activities, Inc. (SCAI) has just the right approach to honor your friend, family members and perhaps that “hard-to-buy for” person. Every Gift is a Gift of Generosity. Your gift is measurable beyond compare! For some, the giving and the receiving of gifts is a primary way of communicating love, affection, and appreciation. ... However, there comes a point when a person simply has enough – they have enough writing paper, lotion, photo albums, candy, nuts, knick-knacks, sweaters, pajamas, etc. So here comes another birthday, anniversary, holiday and what are you to do? The gift of allowing someone to socialize and feel purpose. The gift to get involved or be invited to a new circle of friends. The gift of health and wellness opportunities. The gift to allow someone to be touched by your act of generosity.